We saw Disney On Ice: Frozen the other night. I adore Disney On Ice. We go every year and this year was no different. The show was pretty much the movie Frozen done on Ice. It was wonderful and I loved every minute of it. I always love to do a special mani when we see a show. With my recent love affair with skittle manis I decided to do one for this special night. 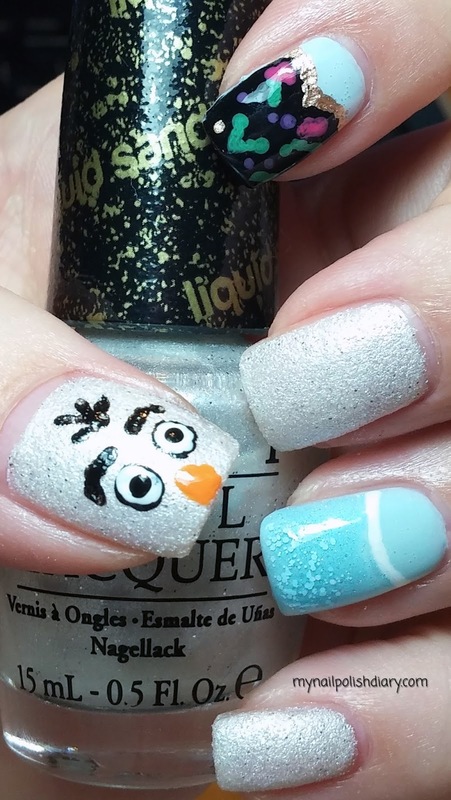 I'm exploring nail art more than I ever have. I am really enjoying it a lot. It's so fun and cute. It does take me a long time though. So I don't do it as often as I'd like to. But once in a while it's so worth spending the time. Zoya Dana with OPI Pop The Cork! China Glaze Grape Pop Skittles!